Together with the glass and the end cap/ casing our glass support profile makes ip a representative rack.. Simply screw the profile to the wall, insert the glass: here you are a rack. 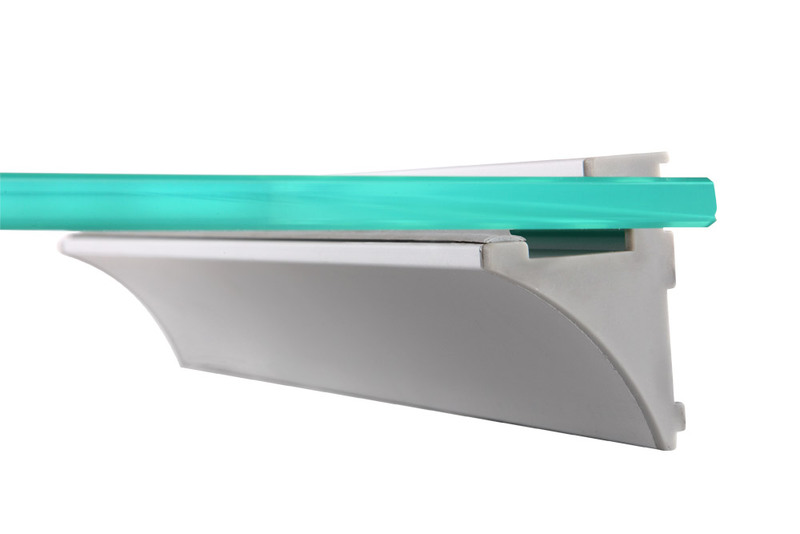 The semisoft trim fixes the glass to the profile and provides a secure hold for years! The glass support profile is available setwise incl. drillings and readily mounted or as bulk stock (cut up to 5500mm). An additional LED illumination creates a more elegant look. Incl. Glass and LED on request.